M34 aluminum square dip. 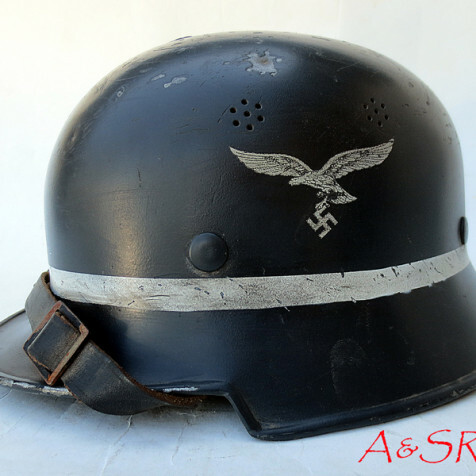 Helmets like this were worn by Luftwaffe fire crews on airfields during WWII. 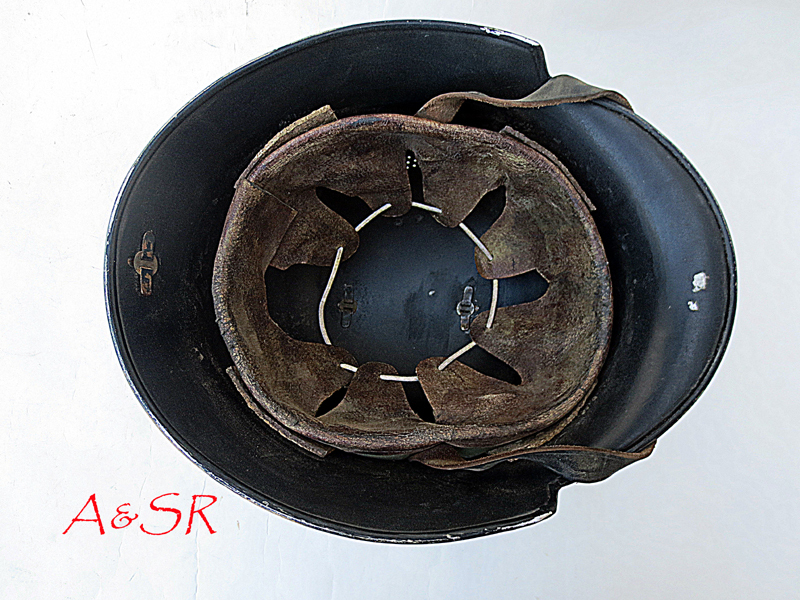 In 1940 the aluminum combs these helmets had were ordered removed, and the holes plugged. 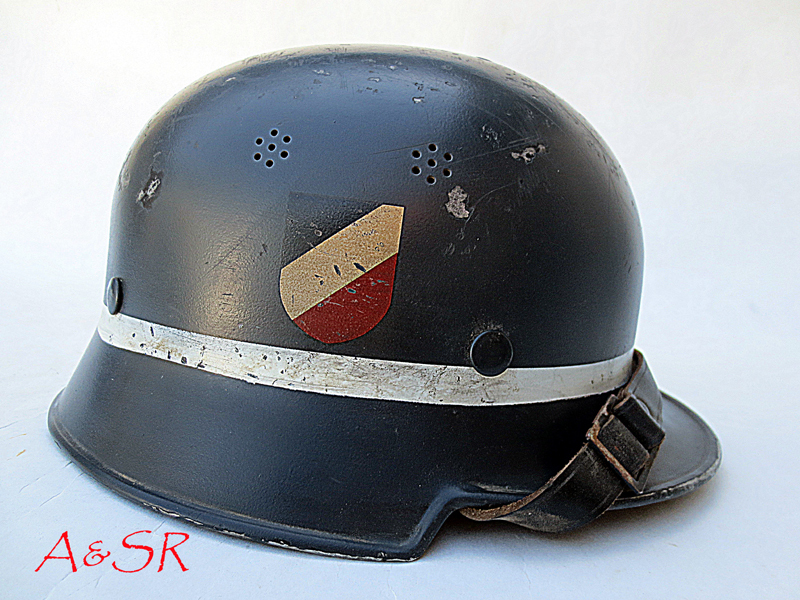 The helmets were originally painted black, but with the 1940 regulations they were over painted LW blue-gray and Luftwaffe decals were added. In addition to the blue over paint a white band was painted just above the helmet’s skirt. One of the challenges with this helmet was creating the plugs. To do this, plugs were carefully cut out of sheet metal and formed to the helmet’s surface. They were secured with split pins, as is sometimes seen on original versions.